NAF employment is federal employment, but is not considered “Civil Service” employment. The difference between NAF employment and Civil Service employment is the manner in which positions are funded. Civil Service positions are funded by congressional appropriations, and NAF is primarily funded by revenue generated by services activities including Clubs, restaurants, Bowling Centers, Outdoor Recreation, and more! Although there are similarities between the two systems, each is separate and distinct form the other and operates under its own personnel policies and procedures. Kirtland Human Resources Office is responsible for all Non-appropriated Fund (NAF) job opportunities on Kirtland Air Force Base. Please follow the link to NAFjobs.org to see a list of positions that are currently open. The AFNAF Services Career Program (referred to as the Career Program) deals with three areas of the civilian work force; the career executive force (those currently working in Career Program covered positions); the general work force (those eligible for referral to Career Program positions); and the Management Trainee (those in entry level, development positions managed by the Career Program). The AFNAF Services Career Program is chartered by the Services Policy Council to identify, develop, employ and retain men and women with the skills necessary to satisfy current and future Air Force requirements. The Services Policy Council, made up of civilian members (both NAF and appropriated fund (APF) functionalists and civilian personnel advisors), provides management policy and direction. (Reference AFMAN 36-606, Air Force Civilian Career Program Management, Volume I.) When necessary, the policy council convenes panels to assist in the development of various aspects of the Career Program; e.g., training and development, placements, promotion evaluation pattern (PEP), etc. The day-to-day administration of the program is conducted by the NAF Career Program team, using policies developed by the Services Policy Council and appropriate legal and regulatory guidance. This team provides Career Program advice to registrants, as well as information about program operations to the functional and Human Resources communities. The NAF Career Program centrally manages the following NF-IV and above positions. 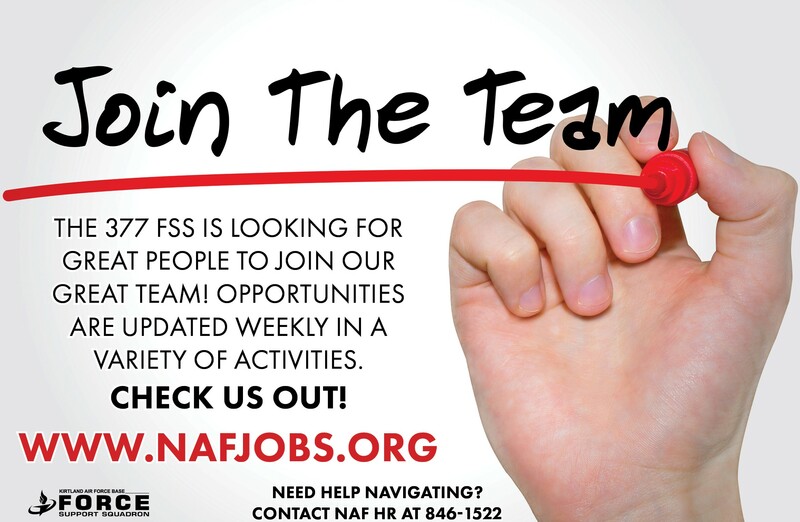 Visit NAFjobs for Current Open Positions!